Yo visionaries, we’re back with another episode this week! We talk new expansion, keywords, pre-order, game modes, and card review season is among us! We’ve another loaded news week this week and a fun lore moment to boot with the WORGEN. 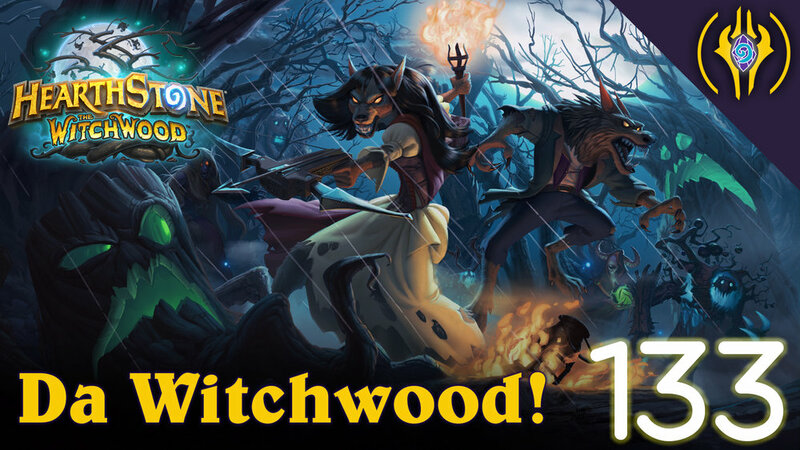 The Witchwood card reveals start March 26 PST with a Mid-April release date.! New Keyword: Echo - These cards can be cast multiple times in the same turn. New Keyword: Rush - These minions can attack other minions the same turn they are played. Charge but not overpowered! Pre-order info: Contains 70 card packs for the price of 40. You also get a card back. Logging in for expansion launch day: 3 packs & a random Class Legendary. Hagatha the Witch of the Witchwood awakened the trees and beasts of the woods making them stronger and angrier. Baku the Mooneater is the great worm that is basically her General. Before Hagatha the Witch moved in it was called Blackwald and it is the forest outside Gilneas. Arena has been tweaked already due to the very high percentage of Legendary cards being offered. Azalina Soulthief: Neutral Legendary, 7 mana 3/3; Battlecry: Replace your hand with a copy of your opponent’s. Baku the Mooneater’s upgraded hero powers are the same as Justicar Trueheart’s versions. How do I search for all odd-cost/even-cost cards in my collection? We added new text filters to help with this in the Witchwood patch. If you drag Baku or Genn into your deck, it will automatically apply those filters. Genn Greymane: Neutral Legendary, 6 mana 6/5; Start of Game: If your deck has only even-Cost cards, your starting Hero Power costs (1). Phantom Militia: Neutral rare 3 mana 2/4; Echo, Taunt. Militia Commander: Rare Warrior minion, 4 mana 2/5 Rush, Battlecry: Gain +3 attack this turn. Pumpkin Peasant: neutral common minion, 3 mana 2/4, Lifesteal. Each turn this is in your hand, swap its Attack and Health. Glitter Moth: Epic Priest (Beast) minion, 5 mana 4/4, Battlecry: if your deck has only odd-Cost cards, double the Health of your other minions. Murkspark Eel: Rare Shaman (Beast) minion, 2 mana ⅔, Battlecry: If your deck has only even-Cost cards, deal 2 damage. Black Cat: Common Mage (Beast) minion, 3 mana 3/3, Spell Damage +1. Battlecry: If your deck has only odd-Cost cards, draw a card. Gloom Stag: Epic Druid (Beast) minion, 5 mana 2/6, Taunt. Battlecry: If your deck has only odd-Cost cards, gain +2/+2.